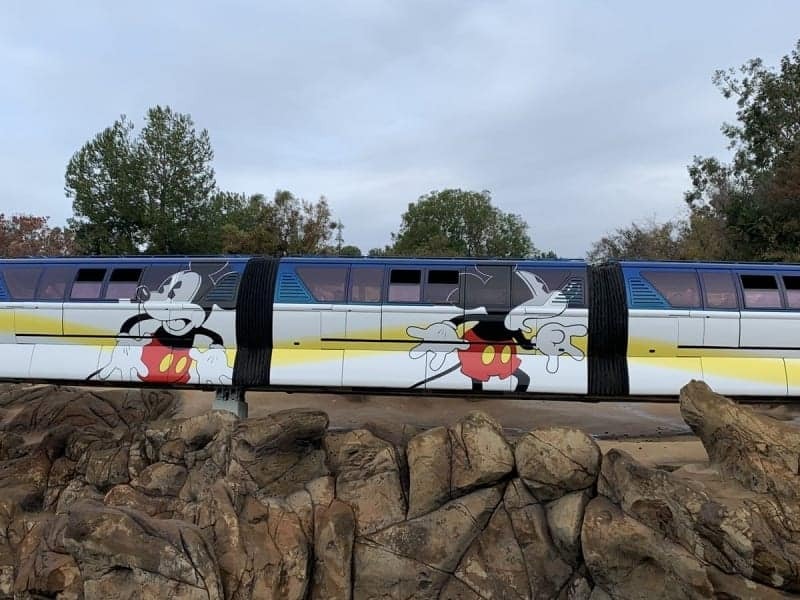 (UPDATED January 15, 2019) Over the last week as part of the “World’s Biggest Mouse Party” a new Mickey Mouse Monorail has debuted in Disneyland and is taking guests around in style. 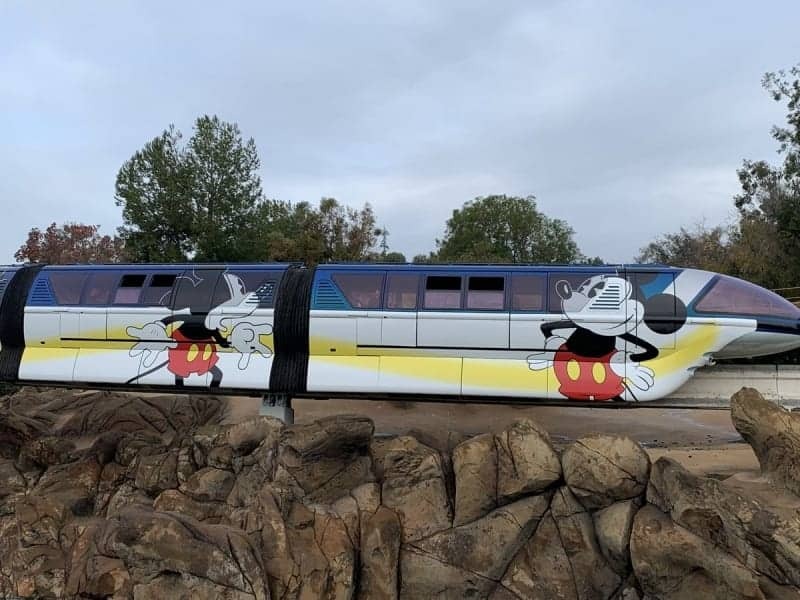 The first style of Mickey Mouse monorails debuted last week, and now a photo of the second one was released today by Disney. Let’s check them out! The first one is the Blue line of the Disneyland Monorail which has been completely overhauled with a Mickey Mouse overlay as part of the ongoing 90th Anniversary celebration extravaganza! This isn’t the first time Disneyland has done something like this, as it’s similar to what they did with the Incredibles overlay during the Summer for the Incredibles 2 film release and Pixar Fest. Thanks to @Whitesox89 we get some good shots of the monorail going by. 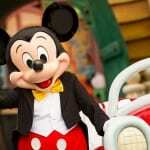 As the monorail flies along you see Mickey Mouse in his classic pin-eyed form in various poses along each monorail car. There is also a paintbrush painting along side of him and Mickey is reacting to the brushstrokes. 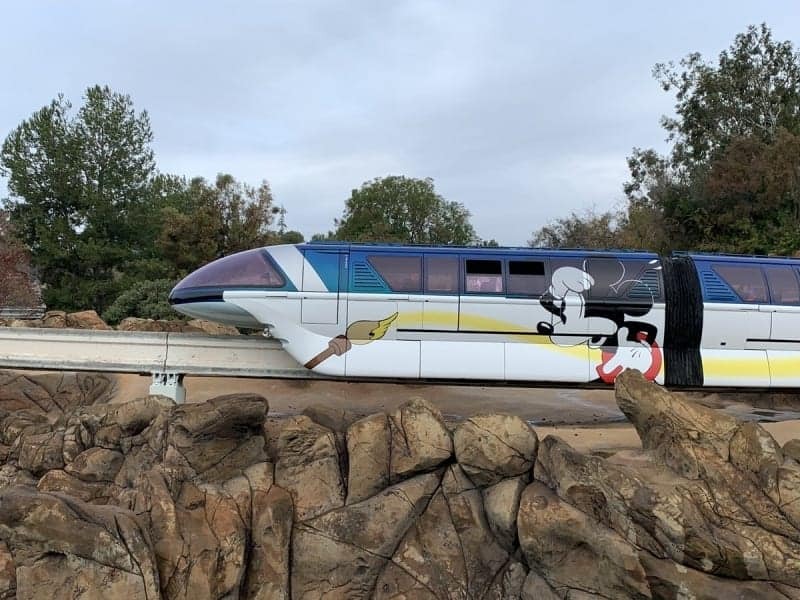 The blue line monorail is the only one overplayed to Mickey Mouse so far, but it might be possible to see others get the same treatment in Disneyland too. It would be cool to see a “Mickey through the years” overlay, showing the various versions of our favorite mouse. It’s funny how much attention the Disneyland monorails get and how much better shape they are in in comparison to their Walt Disney World counterparts. 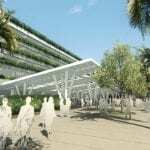 Those monorails have had nothing but problems over the last months, so it will be interesting to keep an eye out on what if anything Disney plans to do to them in the near future. It’s a totally different style and looks more like a mid 40’s Mickey perhaps. Disney didn’t say which Mickey it is, but it’s much different from the previous one. 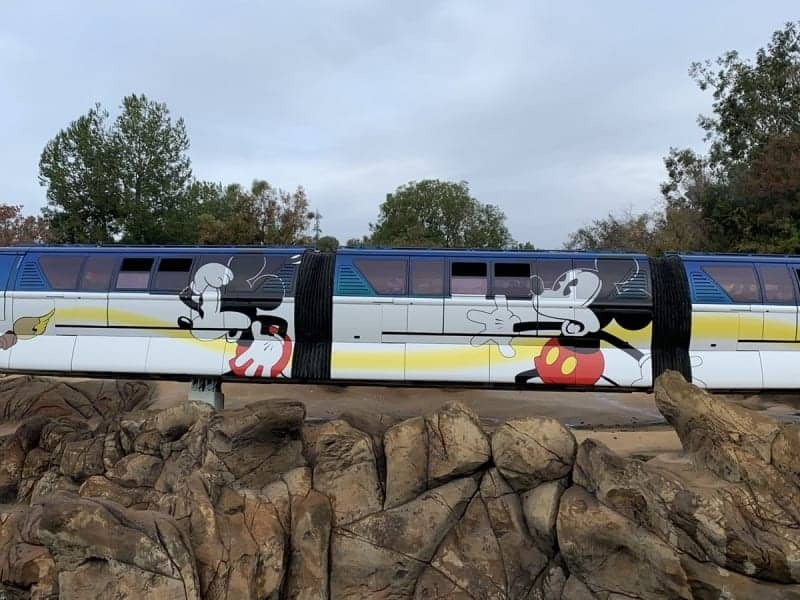 There’s no word yet if the third Disneyland Monorail has also gotten a Mickey makeover, but my guess is it has and most likely a totally different era Mickey once again. I’m not sure which one of the two monorails I like more. The first one is a bit funnier because you get Mickey’s reaction to the paintbrush, but on the other hadn’t the second one is more colorful and I like the closeup image of Mickey’s face. 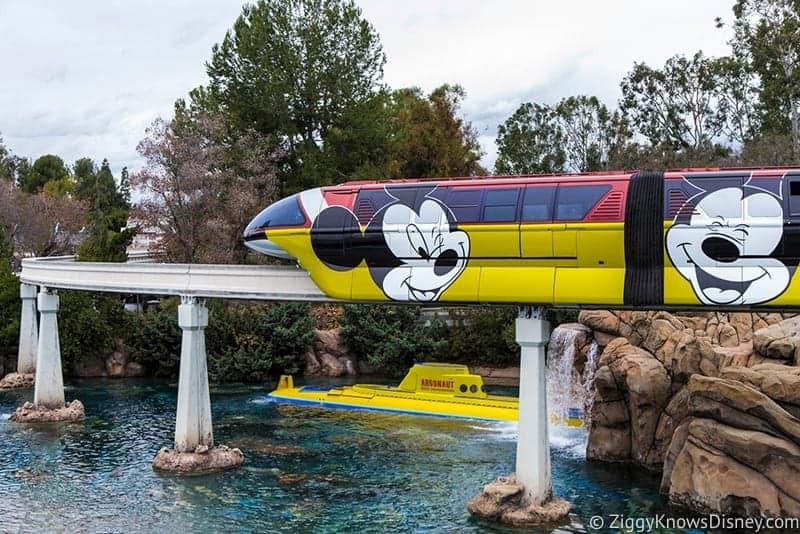 Of course the Mickey Mouse Monorails are part of the “Get Your Ears On” celebration which will present exciting new ways to celebrate the beloved Mickey and Minnie, with entertainment plus limited-time décor, specialty foods and merchandise. 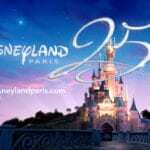 Starting on Friday, “Mickey’s Mix Magic” will light up Disneyland park with a new high-energy projection show, creating a family-fun dance party atmosphere. The fan-favorite, “Mickey’s Soundsational Parade,” returns on Jan. 25 with a rockin’ new opening to kick off the party. 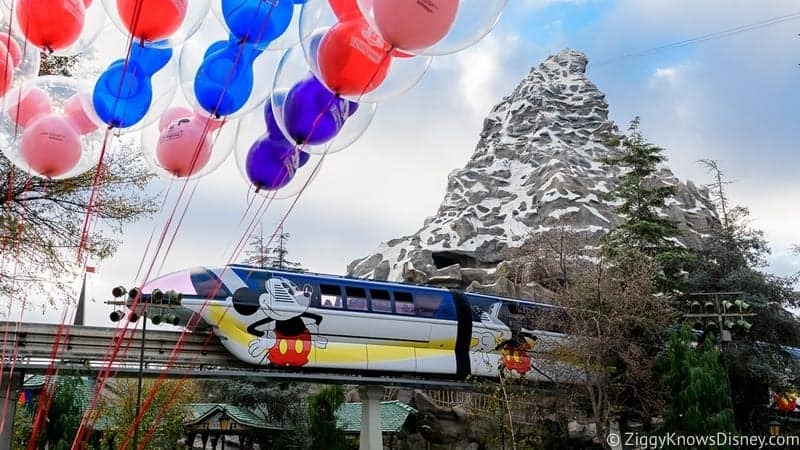 Stay tuned for more Mickey Mouse overlays monorail as Disneyland continues to celebrate his 90th Anniversary! Do you like Mickey on the side of the monorail?